"We did not ask for this room or this music. We were invited in. Therefore, because the dark surrounds us, let us turn our faces to the light. Let us endure hardship to be grateful for plenty. 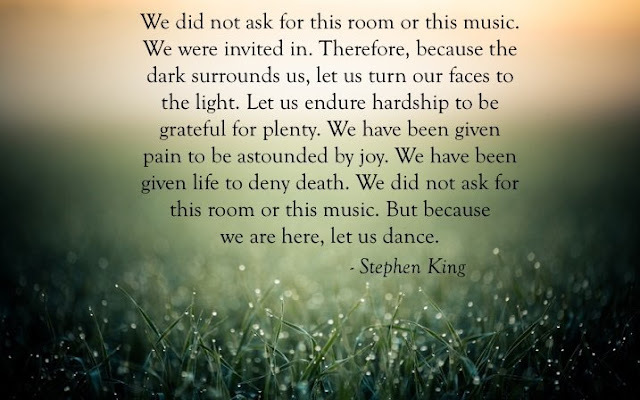 We have been given pain to be astounded by joy. We have been given life to deny death. We did not ask for this room or this music. But because we are here, let us dance." Poem from the TV mini Series, "11.22.63" and Stephen King.